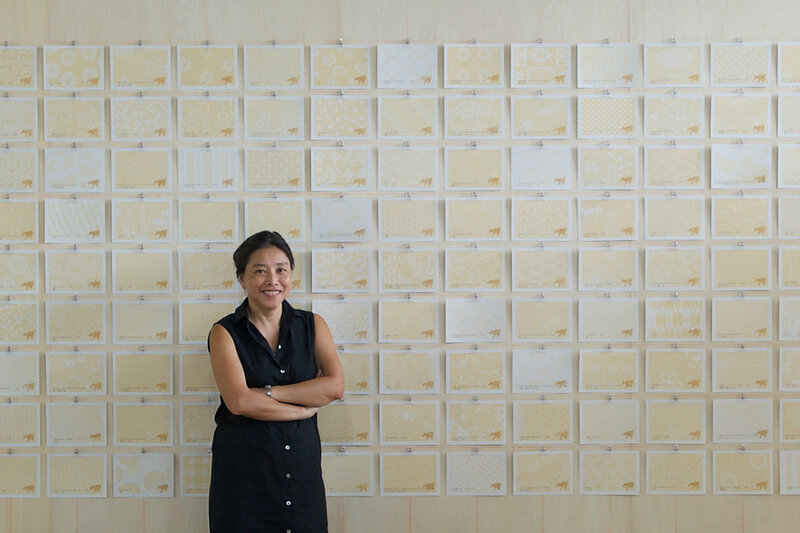 Carol Lee’s work is distinct for its focus on time as both the material and the means of making art. This began with a pictorial journal entitled Under-layers (2005) that she produced using ink on paper. The journal explored her personal state of mind as a continuous recording of time. Lee is primarily interested in the passage of time (time in motion), as well as time as a measure of distance between one place and another (like a light year). Her works often combine media, such as photography, printmaking and painting but are also full of non-material and non-specific uncertainties. For example, by harnessing changes in light as a reaction with paper, the works evoke the relationship between time and history, functioning as a pictorial form of memory. Lee describes this language of expression as “time writing” or “time drawing”. Different from photographs and paintings which represent time as a captured moment, in her works time flows over the surface, settles on the paper and accumulates a presence as it interacts with the material. Eventually, what evolves is a ghostly image of, say, a found object that, through exposure on the paper over time, becomes an empty area of space, a result which is impossible to predict before it happens.